Professional tips to help you sell your next boat online.. When it comes to selling a boat online, make sure that everything is in working order and give the boat a thorough cleaning. Then, take as many photos as possible, showing every nook and cranny of the vessel. Photos courtesy of POP Yachts. 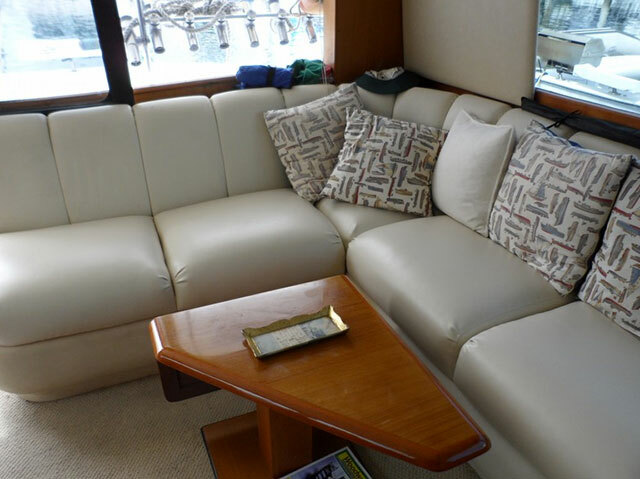 A typical listing on POP Yachts offers up to 100 or more photos. The more you show the various features of your boat, the better your chances are of attracting potential buyers from all over. POP Yachts sells many boats to foreign buyers. Most buyers do their research online. They know the style of boat they want, the year and their budget. From there, users can work with brokerage sites such as POP Yachts to let them know when a matching vessel comes up for sale. POP Yachts has sold nearly 3,000 boats since starting up five years ago. They know what it takes to sell boats and they also know how to protect buyers from scammers. The site offers all types of vessels from airboats to megayachts. Make sure to remove any clutter before taking photos for a used boat listing. 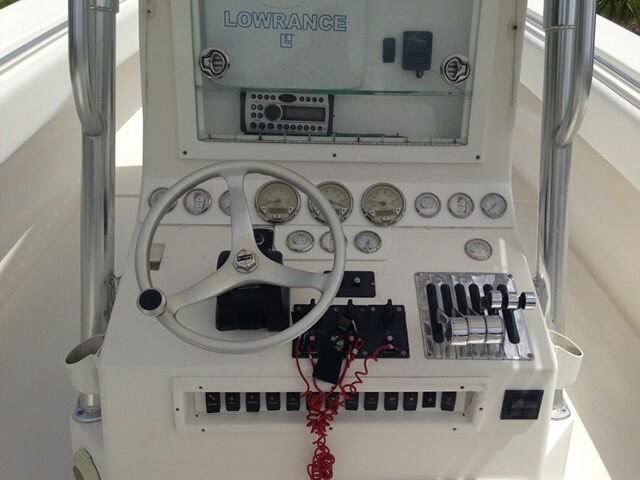 This clean shot of a nicely laid-out helm station lets a potential buyer know that the boat was cared for. Engines are always a major concern for buyers. 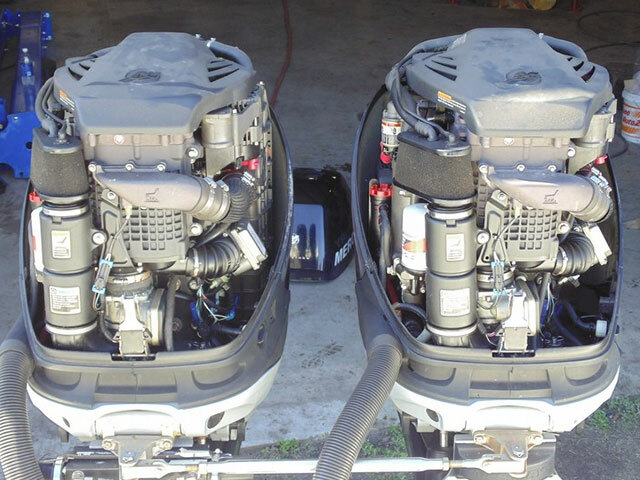 When selling a boat, gather up all of your service records and make sure to remove the engine covers and show potential buyers a clean, well-maintained engine. 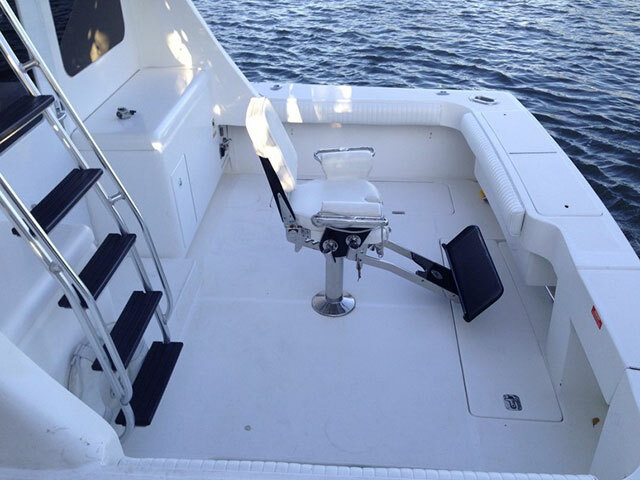 If your boat offers any expensive add-ons such as a high-end fighting chair, show that off in the listing. This fighting chair might just be the added bonus that gets a deal done. 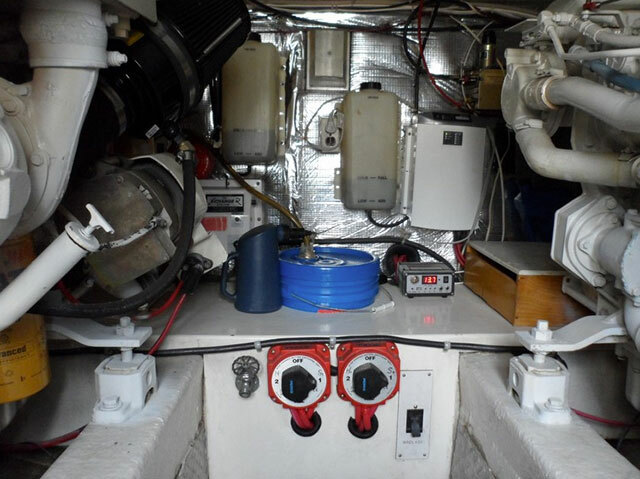 A veteran boater will spend more time inspecting the engine room of a boat for sale than anything else. Remove the clutter, make sure you've addressed any potential problems and clean out the bilge before posting the boat for sale on a website such as POP Yachts. When selling a larger vessel, think of it like a home. Remove any clutter and personal belongings from the cabin before you stage it. For more tips on selling or buying a boat online, visit POP Yachts. Buying a boat should be a positive experience. The same goes for selling a boat. While the Internet has made unloading boats easier than ever, there are still a lot of scammers and hurdles to get over. To help navigate the process of buying and selling a boat online, FishTrack sat down with Scott McNally, the founder of POP Yachts, one of the fastest-growing boat brokers out there. Q: I know that you’re a lifelong boater. 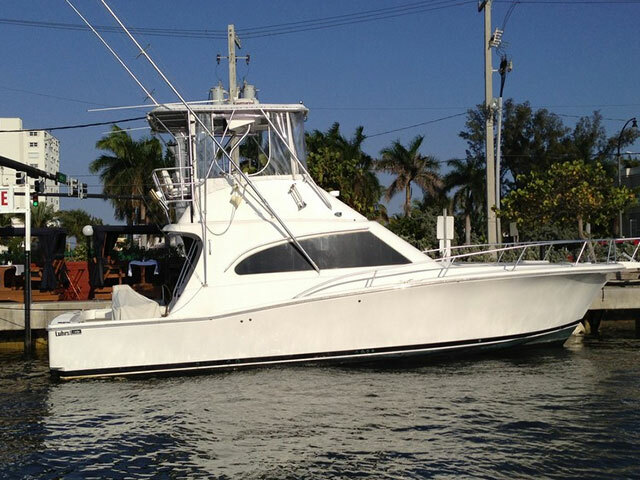 Did you have a poor experience with a boat broker that led to you launching POP Yachts? 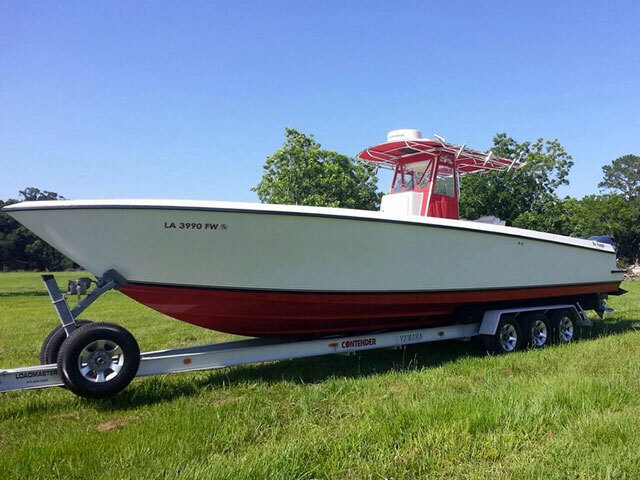 A: Growing up in Florida, and having owned boats my entire life, I thought that when it came time to sell a boat, you simply put it in the online classifieds and sold it yourself. It was not until around 2007 when I had a couple of boats to sell and was contacted by a yacht broker who was trying to get an exclusive on my listings that I even knew this industry segment existed. It wasn’t necessarily a poor experience, but one that opened my eyes to the industry and planted a seed for our business model. There was an opportunity to reinvent how pre-owned boats are marketed and sold through the use of the internet. Q: When did you launch the company and what does the “POP” stand for? A: We began operations on August 1, 2009, so we just turned five years old. When we were initially trying to come up with a name for our brokerage, a group of us were sitting around talking about businesses that charged upfront fees, regardless of whether or not they performed. It’s pretty frustrating when you pay upfront money for a service and at the end of the day there are no results. It’s equally frustrating when you are locked into an exclusive agreement and procure your own buyer, but still have to pay an agent. We came up with the novel concept of only getting paid if we did our job. Thus we came up with the name "Paid on Performance," which is what POP stands for. As a seller, you should only have to pay if a broker sells the boat. Q : So what is the trick to selling a boat online? A: The importance of photos cannot be overstated. 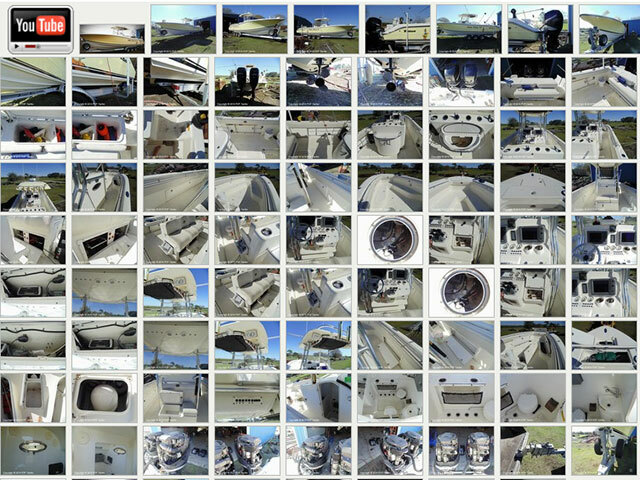 Not just clear photos of a clutter-free boat, but lots of photos. No one wants to drive an hour or more to see a boat from four small photos. If you're going to attract a wider audience from farther away, post 100 photos and prospective buyers will feel much more comfortable piling their family in the car to come see your boat. At POP Yachts, our local representative will come out and take 100 or more photos, depending on the size of your vessel. Some of our larger yachts have more than 400 photos posted in their advertisement! Remove the personal clutter! Nothing turns off a potential buyer more than seeing your personal belongings on every seat and in every cubby of your boat. Before taking your photos, do a light cleaning and remove all of your personal belongings. If it doesn’t go with the boat in a sale, it shouldn't be in a photo. Get to your boat 30 minutes before the buyer arrives so you can wipe her down and stow your things. If you're planning to sell your boat yourself, you are planning to place your complete trust in someone you may not know at all. We have actually seen counterfeit cashier's checks. When selling a house, there isn't as much to worry about since a house can't be moved. A boat, on the other hand, will be gone before you get to the bank and you may never find it again. It can take up to a week and sometimes longer for the bank to identify and return a fake cashier's check. If you're not careful, you could lose your boat and the money. If you're not going to use a broker, at least use an escrow and documentation service to ensure the timely and secure transfer of funds from the buyer to you. Q: All boat owners know that selling a used boat can be a headache. How do you improve the experience? A: The used boat business tends to have a poor reputation in general. Everything we do here at POP revolves around trying to improve the industry's reputation. We are trying to raise the customer service bar in the yacht brokerage industry. We do things 100 percent by the book. The company has published a 12-point "Code of Values" that every POP staff member is trained on and required to follow. Q: So you recommend working with a salesperson rather than doing everything yourself? A: Think of it this way, we are much more than just a website. We are a full-service brokerage with nearly 200 staff members working out in the field regionally. We have local coverage in nearly every major boating area in the nation. At the time of this interview, we have sold 2,771 boats since we began operations five years ago. This year we have sold 1,023 boats in only 219 calendar days. That equals nearly five sales on average each and every day. We are adding about 800 new listings per month and have an active listing base of 5,188 vessels for sale. Every one of our listings are "real" listings. Some companies will hijack listings. They will literally copy our pictures and put them up on their website to try and bring in a buyer. This is highly unethical. At POP, we have a signed listing agreement for every one of our listings, with hull ID number and proof of ownership before we ever publish a listing. "Remove the personal clutter! Nothing turns off a potential buyer more than seeing your personal belongings on every seat and in every cubby of your boat." Q: What are some of the other issues people face when selling a boat online? A: Many customers are concerned about scammers. We have heard horror stories where customers were working with what they thought was a potential buyer over the internet, only to find out that the person was trying to scam them. I have seen counterfeit cashier's checks for hundreds of thousands of dollars. And, a lot of sellers aren’t comfortable meeting strangers at their house. A lot of times people act interested in purchasing a boat just so that they can go for a joyride. Working with a licensed and bonded brokerage helps overcome many of these pitfalls. But be weary of brokers or sites that require specific terms. We do not lock people in for one-year or six-month terms. If someone sells their boat or trades the boat in while it’s listed on POP Yachts, they do not owe us a penny. Q: Seems like most of your employees are boaters. That must help quite a bit. A: We are a little unique in that we are not necessarily looking for veteran yacht brokers. We have found that customers prefer representatives who are ultra responsive and genuinely care about the customers concerns and needs, rather than someone who is purely knowledgeable on the product but lacking in these other areas. We pride ourselves in going above and beyond to meet these customer expectations, which we believe has been one of the major keys to our success. 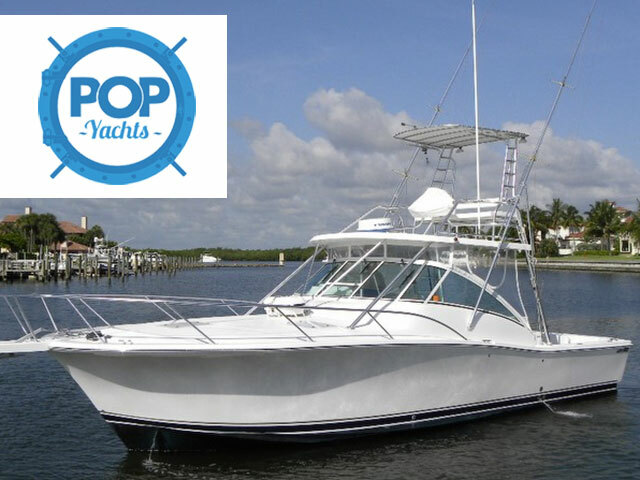 To learn more about POP Yachts and working with them to buy your next boat, or sell your existing vessel, visit POPyachts.com.